This entry was contributed by Margaret Henderson on February 4, 2015 at 12:37 pm and is filed under Collaborative Leadership, Organizational and Personal Leadership. With few exceptions, public servants tend to work hard and achieve remarkable outcomes in often less than optimal circumstances. As is typical of western society, there can even be a sense of competitive busyness at times. Creative problem-solving does arise out of situations when resources are constricted, the stakes are high, or time is limited. The intensity created by crisis can be an effective motivator for personal or community change. Yet the relaxation and openness that idleness generates can birth innovation, too, both in solutions and relationships. As public servants, we are subject to criticism or even open ridicule if we fail to appear busy in a way that seems productive to taxpayers. Understandably, taxpayers expect that their public dollars are being employed wisely and deliberately. Oftentimes, these expectations translate to getting the next thing done instead of laying the groundwork for strategic or different work. Fear of criticism for operating in something less than hyper-drive might be working against us, too, in other ways. Over the last fifteen years I have had the pleasure of facilitating meetings across North Carolina. Being the outsider in the room provides glimpses into the opportunities that make change happen. Over a pool game in the late evening hours during a conference, a couple of people start musing over “Well, what if we DID have a one-stop family justice center? How would that make our services more user-friendly?” A few years later, the center was a reality. One county puts a group of people on a bus to drive half-way across the state to see how another county is trying to close the academic achievement gap. Years later, when asked about their success, everyone mentions the relationships formed on that long bus ride as being the catalyst that enabled their deep commitment to make change happen. 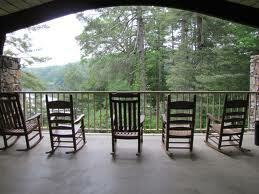 An elected board holds a retreat in a place where it is nice to be outside in nature. People go for walks together during their unscheduled time, and the idle conversations that take place generate new discoveries and build relationships that ultimately help them govern better together. The evening before the department heads and manager hold an annual day-long planning meeting, they go bowling together and share a meal in the lanes. The good natured teasing about bowling styles and scoring helps ease the discussions about some difficult topics the next day. A pool game. Bus rides. Walks. Bowling. On the surface, yes, the time can appear to be “wasted.” Functionally, though, the shared idle time, random conversations, and peace in the moment can be the foundation for important work later on. Successful leaders create the environment in which people can do their best work. Designing opportunities for shared idle time can be a useful strategy for pushing the “reset” button in terms of how we consider our challenges, resources, or relationships. Margaret – nice illustrations of how “blank space” and intentional relaxation can open the doors for new ideas and better approaches when “it is time to be busy.” I bet there are other examples out there from our NC city and county officials, and others. I also note the combination of non-work time, but time to build relationships that are not on the clock. Much like exercising the whole body, the listening and seemingly minor chit-chat of getting to know people can be essential for building understanding and trust for working on very tough problems in our communities.